As a benchmark for a range of luxury vehicles, the Mercedes-Benz S-Class was praised by the motoring community upon its release. Its engineers created the well-known W140 shape, while its interior conveys luxury appeal and style in spades. It's an extremely well-made car too. This is predominantly due to the rigorous testing during the production phase. Both the used fifth and sixth generation Mercedes Benz S-class make a safe bet, especially if you are intent on impressing the neighbours. They're generally found in excellent condition. You may even find some models with a 30-year warranty! Some would argue that the square body style of the earlier models, such as the 300SE and the S280, is outdated. However, they still possess the same technology that newer models do, especially if you decide on the S300. This car boasts plenty of room, so a smooth ride is assured. 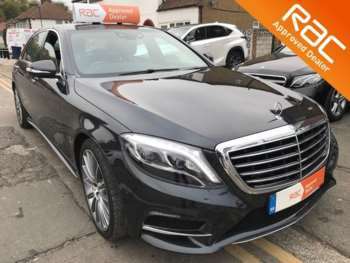 The later Mercedes S-Class models have been continually voted as the best in their class from a driver's point of view. The Mercedes S500 goes from 0-60 in just over 6 seconds, while averaging 25mpg, even during difficult driving.